Surely, he is after this very very impressive speed run on Winter Contingency. He hijacks a falcon and then rides on a drop ship. Genius! Halo Reach is awash with Easter Eggs, here’s the newest one. 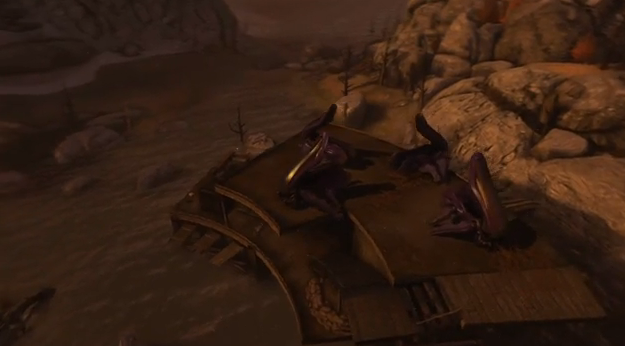 Two players can trigger the appearsance of four banshees near the start of the Reach level, The Package. The Banshees have been found by pressing two secret switches on "The Package". When you press both switches the "return to battlefield" message also disappears (Gosh, I hate that message, what a KILLJOY Bungie). You do need at least two people to get the banshees to spawn, as the second switch will disappear if not pressed within a few seconds of the first. Here’s a pretty sweet video which shows you how to find the banshees. We’ve noticed that plenty of players with hard drives are opting not to install their copies of Halo: Reach. That’s like licking the chocolate coating off a Reese’s Peanut Butter cup and defiantly tossing the delicious center you've already paid for into the garbage– Halo: Reach has been optimized to run from your Xbox 360’s Hard Drive! You want significantly faster loading speeds, don’t you? Launch the game and play! For the visual learners, here's what it looks like without all dem werdz. So what do you need to do to find Master Chief in Reach? It's no save the day style cameo, but hey at least we can say that Master Chief does indeed make an appearance in Halo Reach. It's a nice easter egg and I say well done Bungie. As I first finished the game and I saw that ship taking off, it bugged me greatly the Chief was on there and I hadn't see him at all! Now that Halo Reach is out and has been all week, I'm happy to start blogging more about in game things (rather than simply speculate) such as providing details of the whereabouts of the data pads, and now the actual plot of Reach. 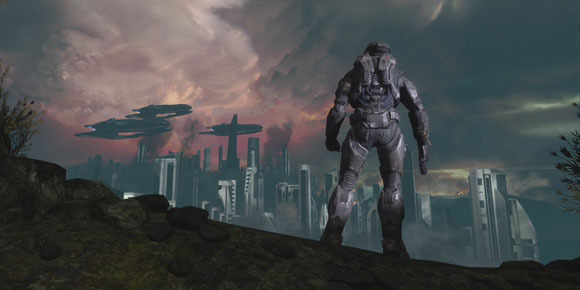 Reach takes place in a futuristic science fiction setting during the year 2552, shortly before the events of the 2001 video game Halo: Combat Evolved . Humans, under the auspices of the United Nations Space Command (UNSC), have been waging a long war against a collective of alien races known as the Covenant. By the events of Reach, almost all of humanity's interstellar colonies have fallen. Reach itself is an Earthlike colony that serves as the UNSC's main military hub. In addition to the military presence, the colony is home to over 700 million civilians. Other than Earth, Reach is effectively the last bastion of mankind. The Reach game follows the actions of Noble Team, a UNSC special operations unit composed of elite supersoldiers known as Spartans. Players assume the role of an unnamed new addition to the team, identified by the call sign Noble 6, the so called Lone Wolf. Noble Team's leader is Carter-A259, a no-nonsense soldier. His second-in-command, Kat-B320, has a bionic arm; together, Carter and Kat are the only two remaining original members of Noble Team. The other members include heavy weapons specialist Jorge-052, Emile-A239, and sniper marksman Jun-A266. Following an opening camera shot of a soldier's helmet lying lost on the ground, the game begins with Noble 6 joining the rest of Noble Team on a mission. The military sends the Spartans to discover why a relay station went offline, suspecting damage done by insurgents. Instead of human rebels, Noble Team discovers the Covenant. After evacuating trapped soldiers, Noble Team forces their way into the relay and informs command that the Covenant are on Reach. 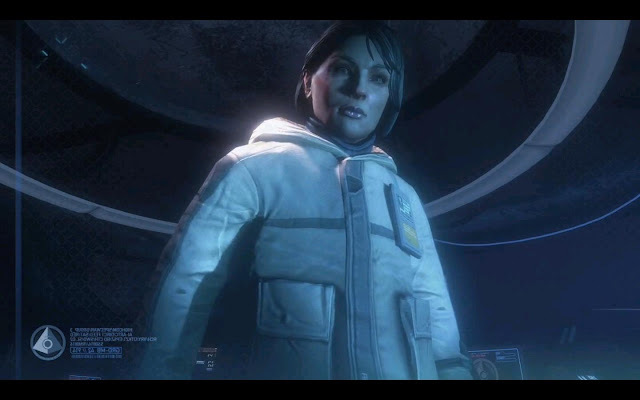 Soon after, Noble team is deployed to the Office of Naval Intelligence (ONI) installation, Sword Base, to defend the research there; the scientist Catherine Halsey tells the team before leaving that the Covenant at the relay were searching for important information. 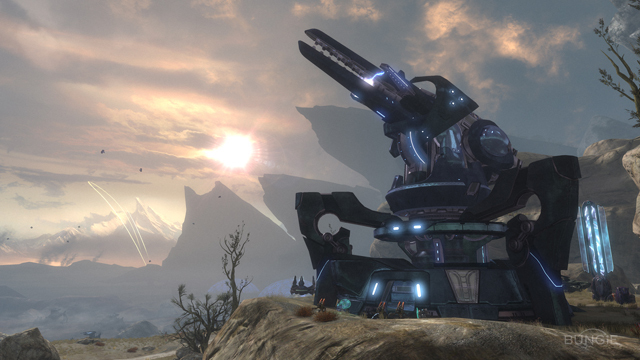 As the Covenant arrive on the planet in force, the members of Noble team undertake missions such as assaulting a Covenant ground base and removing fortified Covenant defenses. Spartan Jorge nobly sacrifices himself when he manually detonates a slipspace engine bomb to destroy a Covenant super carrier. Kat is killed by a sniper while the team defends the city of New Alexandria. Recalled to Sword Base, Halsey shows Noble Team an ancient Forerunner artifact that she believes is key to winning the war. Noble 6, Carter, and Emile are entrusted with taking the artificial intelligence Cortana and the information she carries to the UNSC ship Pillar of Autumn. Noble 6, Emile, and Carter take a Pelican transport to the Autumn while Jun protects Dr Halsey in another. Jun appears to be only member of Team Noble to survive. 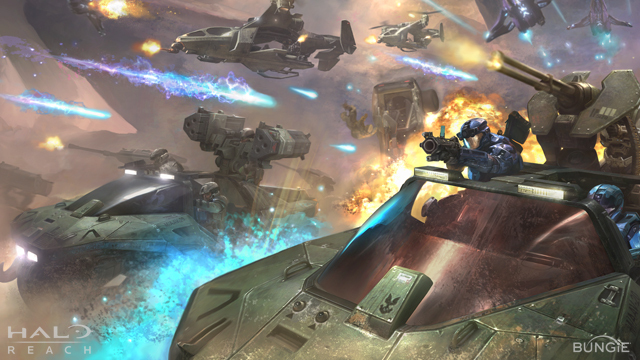 Nearing the Pillar of Autumn, Carter tries to shake off Covenant air forces while having Noble 6 and Emile bring Cortana in from ground level. A Covenant Scarab vehicle encounters Noble 6 and Emile along the way but Carter crashes his ship into it to buy more time. 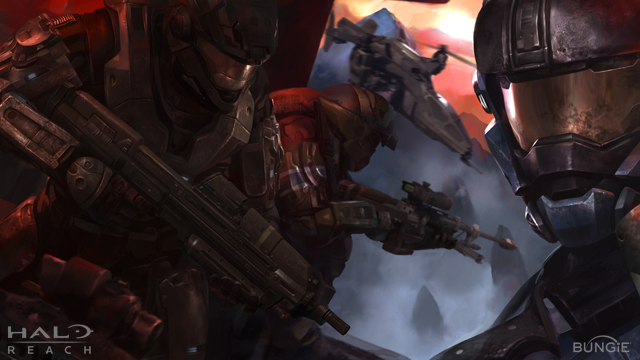 Arriving at the Autumn's docking bay, the remaining two Spartans along with other soldiers defend a landing pad for Autumn captain Jacob Keyes to secure Cortana. Emile, manning a MAC gun against air forces, gets stabbed by Elites. Noble 6 opts to remain behind and defend the Autumn with the MAC gun as it escapes Reach, thus sparking the discovery of the Forerunner installation Halo and setting the stage for Halo: Combat Evolved. Back on the planet Reach, Noble 6 attempts to survive against the converging Covenant forces, knowing their fate is inevitable. The Covenant eventually gets the upper hand and Noble 6 finally falls. 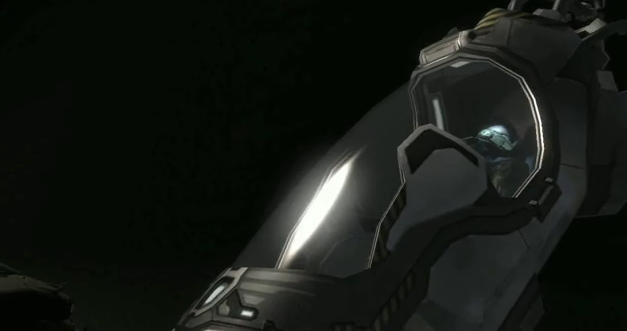 The final image is a shot of a soldier's helmet which we now know to be 6's. Thus the opening shot of the game, becomes the final image albeit, some time has passed. 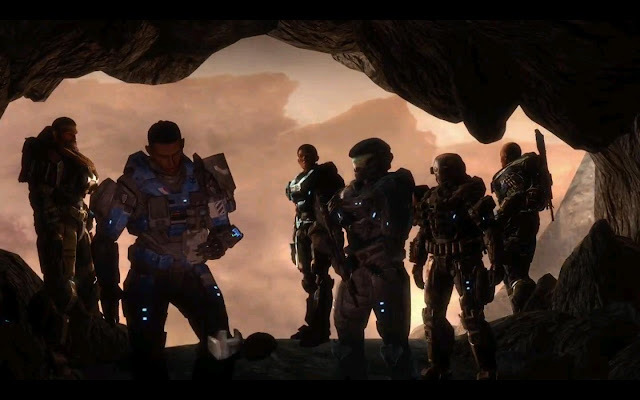 A narration by Halsey after the war against the Covenant explains that without Noble Team's sacrifice, final victory would not have been possible, and now rebuilding can begin. I presume that this voice over is set after the events of Halo 3 and thus we know that Dr Halsey survived the entire war. Want the plot of the novel of Fall of Reach? 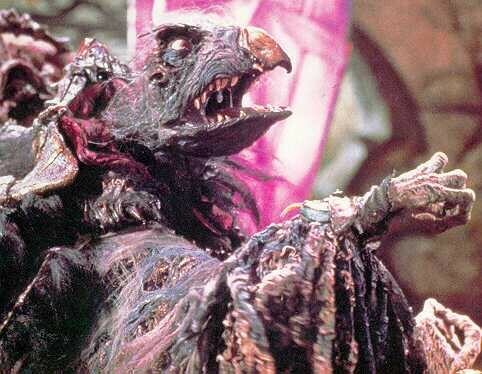 "There will be order in this Council!" The Covenant Jackals hide behind shields that are nearly impervious to damage. Use an accurate weapon such as the DMR (designated marksman rifle) or Pistol and aim for the small notch on the side. A successful hit will cause the Jackal to temporarily lower his shield, exposing him for a finishing blow. All the Armor Abilities offer different strategies and opportunities throughout the campaign, but the "Drop Shield" could end up being your best friend for a lot of the more intense battles. This bubble temporarily protects and HEALS any Spartans inside of it. Take advantage of the expertise of the Noble Team Spartans– they are quite competent on the battlefield, and they can't be killed during the course of battle. When all else fails, fall back and let your fellow Spartans take the brunt of the assault. Always be on the lookout for better weapons and always keep yourself well stocked with ammunition. Ideally, you'd like to have a long-range weapon and a short-range weapon at all times so you're prepared for anything around the next corner. If you see a powerful weapon such as a Rocket Launcher, don't waste it on easy enemies like Grunts or Jackals. If a designer has placed Rockets in the mission, chances are you will need them for a more challenging enemy ahead. Your base health doesn't fully recharge in Reach. You'll need to find a health pack -- plentiful throughout the campaign -- or use the "Drop Shield" armor ability. There you have, some sweet tricks and hints on how to gain the advantage over the AI - what do you have up your sleeve? Leave some wise advice in the comments! As ususal I'm gonna cherry pick the best bits of out of Urks's Bungie Weekley Update. I LOVE how he's not such a smug wiseass like that other guy was, Luke. Like Frankie did when he was at Bungie, Urk sets the tone just right. Thay's a boat load of numbers eh? The Boot: Harsh but fair? "We’re seeing reports of players being booted for betrayals after just one measly stinkin’ team kill. Yup, it actually can and will happen, but as always, it’s a bit more nuanced than it appears to be on first glance. Currently Halo: Reach is using a betrayal system similar to the one employed by Halo 2, where players accumulate strikes against their betrayal count not just for straight up kills, but also for doing non-fatal damage to their teammates. Seems like pretty fair advice, harder said than done though the way I play! 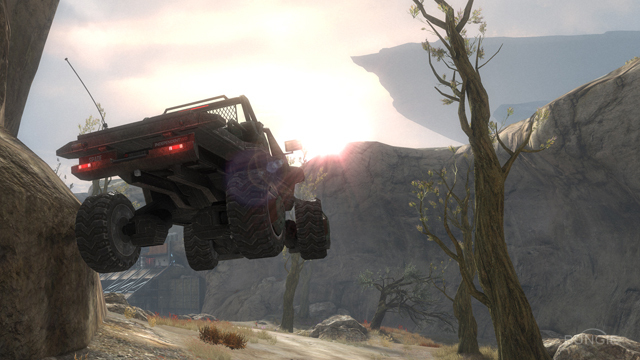 There are a total of 18 Data Pads to be uncovered in Halo: Reach . This guide is meant to help players looking for hidden Halo reach Data Pads located at different locations within the game's levels. Data Pad's are the replacement for the previous Halo game's Skulls - Halo 3 made the Skulls pretty much a feature of Halo as to find them meant rewards such as the Grunt Birthday Skull and ways to make the game interesting and challenging. Datapads don't have that actual role in Reach as Bungie has provided Skulls from the start - the datapads are kind of like Halo 3's Terminals - the reward is info about the wider game. Dr Halsey anyone? To make things a little interesting, Bungie have made it so that Data Pads 1-9 can be located and acquired on any difficulty and Data Pads 10-18 can only be located when playing in Legendary difficulty mode. It's your fist. You punch them. You can always do this, unless you are dead. Punch them. Make sure to do it up close, though there's a slight lunge to it. A punch always knocks down a shield, if they have one, but unlike Halo 3, that's all it does if they have any shield left -- whether it's 100% or 10% -- so have something ready to finish them (the stylist in me hopes it's a precision headshot). A punch to an unshielded enemy is always an instant kill, however, so you can just punch them twice, where possible. Also, a melee to an enemy's rear (now called a 'beatdown') causes instant death no matter how much shield they have, and you can add flair to this by holding down the melee button to perform an assassination animation. Melees are best used in conjunction with other weapons, but they are an essential part of your armament nonetheless. The close-range power weapons like the shotgun and sword are your worst nightmare; don't go for melees against opponents carrying these unless you are very sure of what you are doing. And everything that works outside melee range (read: everything in the game) likely has you beat, though a combination of Sprint and two quick punches will still take some enemies by surprise. Importantly, because of the changes to how the shield works (i.e. you have to 'break' it as detailed above, with no damage carrying through), you'll want to think your melee attempts through a little more than you did in Halo 3. The old-fashioned 'AR-charge-with-closing-melee' will leave you dead, more often than not. One of the most flexible weapons in the game, and the go-to midrange gun; you'll probably want to grab one whenever available, though it is the default weapon for many slayer types and in the Arena. Four shots anywhere on an enemy will drop a full shield. A fifth shot will kill, provided it is to the head. Reticle bloom is very manageable; at reasonable ranges, you can spam or close-to-spam the first four shots, then pause for a moment before bagging the essential headshot. You also have a scope for long range, and the gun works surprisingly well even at extreme distances. It simply doesn't fire fast enough at very close ranges, especially against enemies who are better equipped (packing shotguns, ARs, pistols, etc.). It also won't kill fast enough at any range to match up consistently against properly-used power weapons. Perhaps the most flexible weapon in the game, and you will almost always have one when spawning as a Spartan. It does the same damage and behaves similarly to the DMR; they fire the same round, in fact. However, the pistol suffers more from bloom, meaning you will have to pace your shots at range. On the upside, it can fire much faster, so at close ranges you can spam it at the body to drop shields, and then either melee or pause for the killing headshot. Has a scope, too. At mid-to-longer ranges, a decent DMR user will shred you because of their relative lack of bloom. Also, the clip is pretty shallow (only eight rounds, and it takes five to kill a healthy enemy), so facing down multiple enemies at once with it is inadvisable. While you will often spawn with one of these, it's use at range is questionable, and against decent players this should usually be the weapon you dump when you find something better. Fire it in bursts at close or medium ranges. As with all human, bullet-based weaponry, it is more powerful against enemies witohut shields. The classic 'AR charge' still works, but remember that you have to take down an enemy's shields in Halo Reach before you can do any damage to their health. Skilled pistol users will dong on you if you charge straight at them holding down the trigger. Half-decent DMR users will dong on you at range. And the close-quarters power weapons (sword, shotgun) will dong on you too. The Covenant's answer to the DMR, this fires faster and suffers less from bloom, but takes more shots to strip a shield. The Needle Rifle is actually automatic, unlike the DMR and pistol, meaning you can hold down the trigger to fire constantly, though again it's best to pause and wait for the reticle to settle before going for a headshot, which kills just the same as if fired from a DMR. Reload time seems comparatively lengthy to me, but I don't have a list of times, so it may just be my perception. The NR also has a hidden bonus in that three rounds to an unshielded body will 'supercombine' and explode, killing the enemy. The rounds don't have to come from the same gun, either, so this gun is even better in the hands of coordinated teams. Also has a scope. The same things that will beat out a DMR beat out a Needle Rifle. The DMR is also arguably the more efficient weapon in the hands of a skilled users. I say "arguably" because as far as I know, nobody has run the numbers on time to kill at various ranges yet, and so whether the DMR is preferable to the Needle Rifle is sort of open to debate. You usually spawn with a couple of these, and they are useful in any number of situations. Despite a post-beta nerf, they are still very powerful in Reach, and it's worth learning where they spawn on the map. With frag grenades, try to throw them to feet, or anywhere enemies might be. They worth great to deny service to areas, to buy time when retreating with shields down, to ambush a guarded position, to clear out unshielded enemies, etc. Bounce them off walls to hit people around corners! Bounce them off the ground in front of you so they explode in charging enemies' faces! Bounce them beside you just before death, hoping to kill onrushing foes: it's just like Martyrdom! With plasma grenades, you'll want to 'stick' your enemies where possible (i.e. peg them directly), as the resulting explosion brings (almost) unavoidable death. They work well when thrown on the ground, too, and sometimes their lack of bounce makes them more useful in a given situation. Because you don't have to switch weapons to use them, both grenade types work best in conjunction with melees and your actual weapon. Armor Lock is your nemesis, as a skilled user will simply shrug off your grenades. And because betrayal bootings are so rampant right now, watch out for your teammates, too. What you would expect. This is a grade-A power weapon, and if you can use it at all you will want to take it wherever you find it, if only to deny it to the enemy. A headshot will always kill, no matter the target's shield. If you hit an enemy anywhere else, you'll drop their shield instantly, if they have one. If they don't, a single shot anywhere on the body will kill. Even if you hit them in the toe. It has reticle bloom, though, so pace your shots. You can also 'no-scope' enemies by using it like a pistol, but this should be considered an 'advanced' technique. Getting hit with anything will knock you out of your scope, so weapons that are serviceable at long range (DMR, Needle Rifle, even the pistol) will make your life difficult. And if you get caught out with the sniper at close range, just about anything will likely beat you unless you can pull out a no-scope. Remember, also, that you are very vulnerable to ambush while scoped. Self-explanatory. It's really powerful. Don't leave it lying around for the enemy. Don't necessarily aim at the target; it's easier to aim at the surfaces around them and rely on splash damage to kill. Rockets are a grade-A vehicle killer, by the way, and you should be aware that you can 'target lock' flying vehicles like the Banshee or Hornet by holding your reticle over them for a few moments before firing. Rockets fly slowly, so targets at range will often dodge and destroy you, especially with precision weapons. Also, the reload time is lengthy, so it's usually better to switch to your other gun if you miss with both rockets. Timely Armour Locks and even timelier Drop Shields will deny you kills, too. A close-range power weapon, seemingly beefier than it was in Halo 3. Fire at extremely close distances. If you are at point-blank range, you should always follow up with a melee to make sure the job is done. Like all weapons save the 'precision' ones (DMR, Needle Rifle, pistol, sniper) the shotgun makes no distinction between head and body, so aim centre-mass for best results. Just about everything outside your fairly short effective range. The other close-range power weapon, slightly neutered in Reach. When your reticle is red, the sword will dramatically lunge you toward an enemy with right trigger (as if you were 'shooting' it), killing instantly no matter their shield or health. The exception is if they time a countering melee to block you; get around this by attacking from the side or back where possible. If you press the regular melee button instead of pulling the trigger, the sword will give a quick slash (without the lunge), which is particularly useful in sword duels. Your nemesis is the shotgun; you will typically die when lunging at a shotgun user head-on. The melee block mentioned above is also a danger. Otherwise, at close range you trump just about everything. Outside that range, everything trumps you. A very useful supplementary gun. It's default firing mode, while seemingly improved in Reach, should be rarely used. The real meat is the plasma overcharge. Hold down the trigger to charge up a glowing green bolt of energy, and then release the trigger to fire. If your reticle is red (over a target, inside the right range) this bolt will home slightly. If it hits an enemy, it drops their shield instantly. If it hits a vehicle, that vehicle is immobilised for a precious few seconds. You can actually use a plasma pistol as a makeshift shotgun at very close ranges, releasing the shield-dropping bolt and then following up with a killing melee. The gun by itself is not very effective; it is only in combination with other weapons, notably the precision headshot guns, that it becomes a danger. Consequently, just about everything beats a plasma pistol by itself. New to Reach, this is the Covenant answer to the Assault Rifle, and works just like the Plasma Rifle of the earlier games, only on steroids. Same as you would the Assault Rifle, but with concessions for the travel time of the projectiles. As you fire, the gun overheats and the projectiles start to slow. Pressing the 'reload' button vents this heat and restores the rate of fire. As with the plasma pistol and the needler, you will see a 'ghost' reticle while firing this at an enemy that shows you where best to aim to hit them. As with all plasma-based weaponry, it is better against shields than against flesh, so often you should use this to strip shields before switching to something else to finish the kill. Same as the Assault Rifle, above. Everyone's favourite wacky pink death machine returns in Reach. Try to use it within its optimal range, and only when your reticle is red; like the plasma pistol, it homes slightly when used in the right way. The actual needles themselves do little damage; what you are aiming for is to get enough of them into an enemy that a 'supercombine' occurs and kills them instantly. Unlike the Needle Rifle, the needles stick into shielded targets too, so this thing is near-instant death to unsuspecting targets. Aware targets will simply strafe out of the way of the needles, and the further out you get, the more likely you are to be donged on by someone with a 'proper' weapon like the DMR. Use this knowledge when facing needlers yourself: don't ever stop moving, and get to cover where possible. Most people will empty their needler vainly and then you can punish them, but your first priority is to dodge, not to counter. Curiously, the needler is also pretty useless at close range, too, unless someone charges you head-on, in which case you will melt their face. But at the right distance, it's a beast. 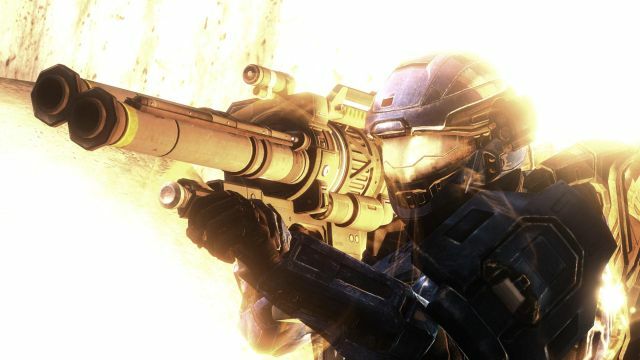 Watch this video for a pretty awesome Halo Reach Easter Egg that shows Dr Halsey's lab in action. This cave is not in natural formation...and neither is a certain control found hidden away in a remote part of The Package. What is this control I speak of you ask? Bungie's last hoo-rah towards some of the major highlights in Halo's community over the past decade. It's a shrine I guess you could say, and it's kind of hidden in plain view. To get to this magical control and shrine yourself you'll need to follow a couple of steps. 1) Have two players. Yourself and someone else, or just a second controller. 2) Play "The Package" on legendary. You *can* start the game at Rally Point Bravo, don't worry. 4) Grab a jetpack. It may be possible to pull it off without one...but I wouldn't try it. 5) Watch the video and see for yourself where the magical control spawns at. Follow my steps and you should be able to activate the control too. You'll see why you need a second person too :P.
Now, once you make your way into the shrine you'll find seven terminals. Just like the datapads you can find all through out the game, you activate them and up pops a little display plus a couple of pages of information. Since the game doesn't capture the terminal view, you'll have to view them via the image captures I took. Nice work Bro, nice work. So in NZ we're a little a head of the rest of the world, in terms of having rediculously good looks and time. Thus we got Halo: Reach a few ours earlier than the rest of world. And that's just half the fun. Did you have a punch up in your queue? Did an ambulance arrive for a non related event? Did a drunk old man on a bicycle ride ride into the crowd and hit the concrete? Did people turn up totally stone out of their minds. Yup, only on Cuba Street, Wellington! Before the mayhem. EB games really should sponsor me while I think of it! Yep, that's how we New Zealand Halo fans roll. With the punches. Any way you didn't come here for stories about boys with too much testosterone and old men that have dependency issues did you? You came to Halo Reach Game News to read what Jimmy Jangles had to say about Halo: Reach. What? You just googled 'halo reach news' and here you are? WTF dude, go play the game and then come back! So the start of the game is what you may have already seen, the Halo VGA Trailer, albeit with edited dialogue which removed the line, 'Didn't think any body survived Pegasi Sir?' which is a damn shame. Plot wise team Noble is directed some disembodied voices on the com waves to sort out some insurrectionist activity. Clearly the Covenant are playing silly buggers and are making plans to take over Reach so Team Noble gets sucked into the action, taking down cannons and cloaking devices and wraiths and other interesting surprises. This is the first three or so hours of the game, good clean Halo fun as you've come to expect.